Aligned contributions occur when leaders work together to take effective action that is complementary, mutually supportive, and leveraged to produce measurable improvement in a result. 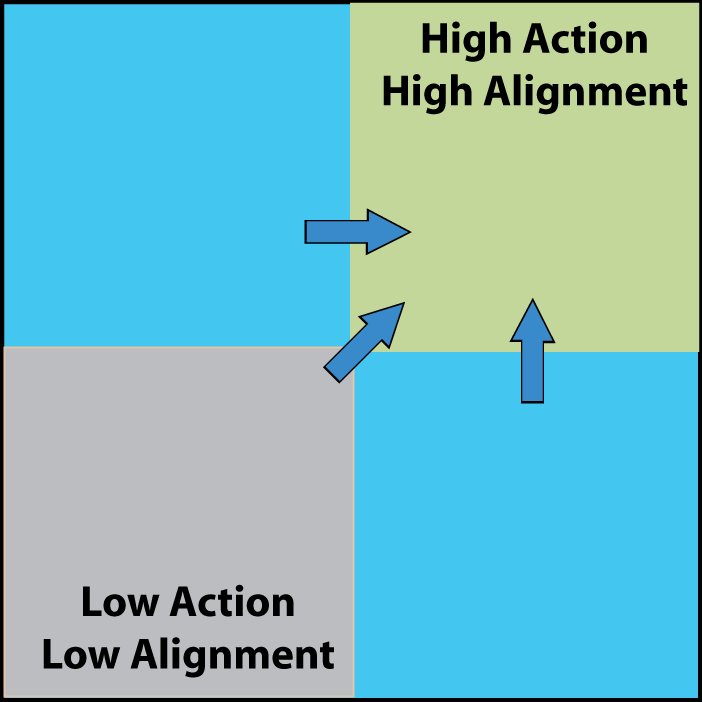 High Action/High Alignment is only possible if you and those you want to work with seek to achieve a common result that cannot be achieved alone. Is there a result you are committed to achieving that you cannot achieve alone? Are your actions timely and sufficient to make a difference? What are you willing to do differently in how you work with others to align your action? You can click here to login or register and then be able to save and/or print the APP.